Congratulations on wanting to grow your private practice and for deciding to use this book as your guide. If you’ve read my first book, Pursuing Private Practice: 10 Steps to Start Your Own Business, you’ve used the tools provided to start your own practice and set up your business. Now it’s time to grow your private practice into a thriving business! Since you’ve already gotten your business started, you obviously have the passion and drive to be your own boss. While growing a private practice can be overwhelming, this guide with its easy-to-follow steps, will show you how to take your business to the next level. The end result will be a brand that represents YOU. Not only will you learn how to keep your clients coming back, but also how your clients can be a source of more business. A successful business requires that you know how to brand yourself for your target market, as well as how to advertise to get your ideal clients. You will learn about website design, along with adding social media to enhance your brand. Maybe you’re so busy you want to learn how to hire someone to assist you. Or maybe you just want to learn how to work smarter, getting the right clients that fit your practice better. If all of this sounds good, then this is the book for you! Jennifer McGurk has written a book for all of us wanting to know more about the ins and outs of growing a private practice. She incorporates her own business-savvy tips throughout the book, letting her readers know all about her own experience. A must-read for any dietitian, therapist, or counseling professional! Pursuing Private Practice: 10 Steps to Grow Your Own Business is also available on Amazon and Kindle! Jennifer did it again!!! She has such an amazing way of explaining how to grow your business and build that success you have always dreamed of! If you are in private practice, this is a MUST to have on your book shelf! The information in this book is priceless for anyone going in to business as an independent practitioner. 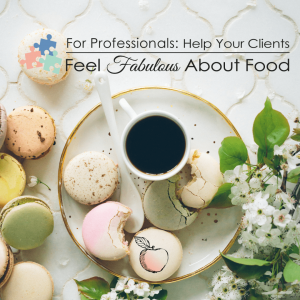 The tips and guides here will save you time and energy so that you can be more productive with your clients! I appreciate the organized fashion of presenting what can seem like a lot of confusing information to manage on one’s own. Learn from this author’s expert experience and get ahead in your field. Thanks for writing such a helpful guide. Jennifer you are amazing!!! Your 2nd book Pursuing Private Practice 10 Steps To Grow your own business is fabulous. I’m totally immersed in it. I love your section about hiring an intern since I have two interns now and it’s giving me wonderful guidelines. I feel so validated because I kind of figured this out on my own! Amazing, I’ve been in private practice for almost 40 years, and I have always been a student of life. It’s terrific especially learning from one smart savvy experienced gal like you.